Are you wired to climb? Are you wired to climb? Are you wired to climb? Like I told Anderson Cooper off camera last month, “7 billion people on this earth don’t get me.” We are all wired differently and no matter how hard we try we can’t rationalize why others do what they do. Every mountaineer has a different reason for climbing. Some of the reasons overlap but there isn’t a perfect formula that intrigues people to the mountains. Some are in awe of the beauty or attracted to danger where some like the fancy gear and summit pics. One appeal is the interesting people you meet on climbs. They have different backgrounds, skill sets and are chasing their unique dreams. On my last climb I ran into 2 different groups, 1 was high school friends and the other 67 year old friends. They were opposite extremes but still awesome to talk to and understand their motivations. I’ve heard a lot of criticism in my days of climbing and was even told I was “going to die on Everest” in a Starbucks right before my expedition (in front of my kids). I included that situation in my book, Blind Descent, and in the end felt I handled it well. In most circumstances it’s an opportunity to educate others about the mountains, the sport and the risks. But there will always be haters and you can’t please them all. The best defense is the remain consistent, do what you’re interested and capable of doing and live life with no regrets. This year there have been several major mountaineering deaths with the Khumbu Icefall avalanche that killed several Sherpa and the recent Mount Rainier Liberty Ridge incident killing 6. Each instance is a grim reminder of the dangers of climbing. It’s important to respect the mountain, the people and the sport rather than use it for political gain. It’s disrespectful in my opinion to do anything other than pray and honor the dead. Yes climbing is dangerous as the mountains are unpredictable. But that is part of the allure, since you train hard, hone your skills and utilize route finding, safety techniques and practical thinking skills to avoid the dangers. There are things outside of your control but there are a lot more within your control. I passed through the Khumbu Icefall 8 times during my 2011 summit climb. The same ice bulge that calved off and killed the Sherpa this year was the same one that loomed over me 3 years ago. It could have easily taken me out, but I was lucky. 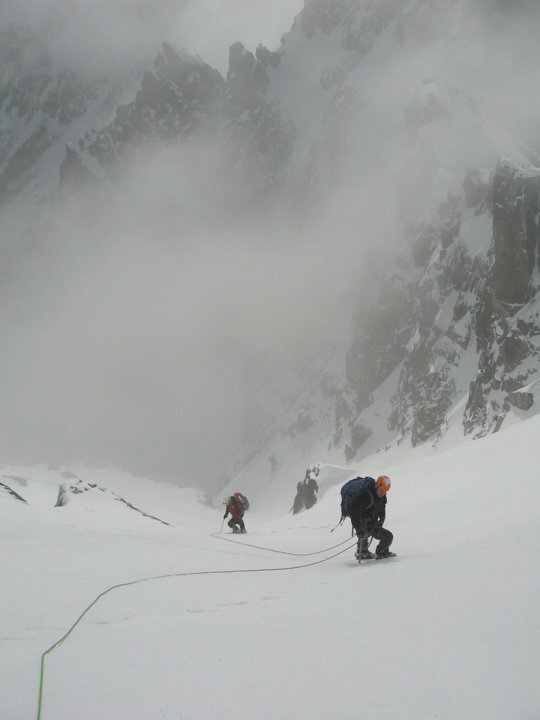 I did experience falling seracs and avalanches through the icefall but again, I was lucky to make it through alive and a lot of climbing through objective hazards comes down to luck. The reasons I climb have changed over the years. In the early days it was an exciting adventure with a lot of new skills to learn, fitness regimens to change and experiences to…well, experience. Those all remain true as I’m always learning from my preparation and experience, but I now have more of a spiritual takeaway with each climb. After my Everest situation I now feel closer to God when I’m above the cloud layer and 100’s of miles from civilization. I’m able to remove the clutter from daily life and reflect on what I’ve achieved and how much more I want to do during this temporary life. I’m wired to explore and make lasting memories that most won’t understand, but that’s me. If climbing isn’t your thing, then figure out what is and take it to the extreme. You only have one shot at it, so you might as well go all in!